I will have new work in the Tag (you're it!) show at 13Forest Gallery. Information about this show can be found on their website. In this show artists are "tagged" by the gallery to participate in the show and then we "tag" the next group of artists to take our place. 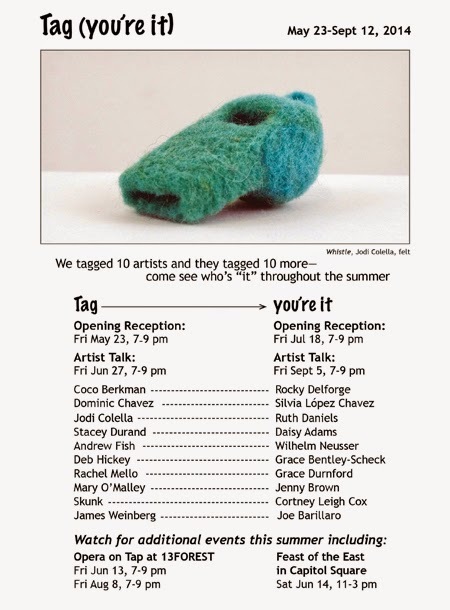 The show opens this Friday, May 23rd and the first session runs until June 27th.